Happy Wednesday lovelies! 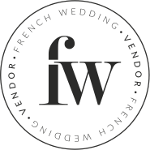 We hope that you’re having a fabulous week so far, and if like us at FWS HQ you love looking over French Wedding Stationery, then we’ve got something that you don’t want to miss! Today on the blog, we welcome the superbly talented team (or “Rosemooders”) at Atelier Rosemood. Rosemood are a young French company which specialises in the creation and production of personalised stationery. This was born out of a need of its three French co-founders to find beautiful personalised cards to announce the arrivals of their little ones. Their aim is to go above and beyond, which is where their talented designers come into their own. Whether you are hosting a French style wedding close to home or are tying the knot in a stunning Chateau in the Loire Valley, Atelier Rosemood is here to help you find the perfect wedding stationery for your big day. 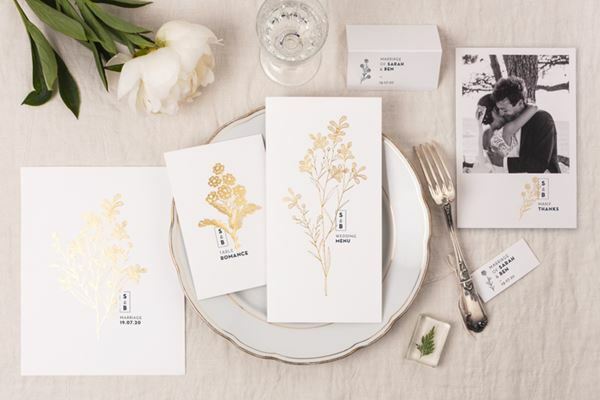 Based in Nantes, France, Atelier Rosemood works with a range of designers from Paris to New York to bring you contemporary wedding stationery “à la française”. With designs inspired by everything from the lavender fields of Provence to the traditional stripes of a Breton Marinière, you are sure to find wedding stationery to match your French wedding style! Atelier Rosemood even has luxurious foil wedding invitations, created in collaboration with the talented French wedding dress designer Laure de Sagazan. All wedding stationery from Atelier Rosemood includes a complimentary proofreading and retouching service, and their team can proofread your wedding stationery in both French and English, perfect for dual-language weddings! Their graphic designers will also optimise the layout of your wedding stationery and retouch any photos, so you can rest assured that your wedding stationery will be in safe hands! All wedding stationery from Atelier Rosemood is printed at their very own atelier in Nantes and can be shipped worldwide. We are sure that you will have plenty to think about when it comes to planning your French wedding, so Atelier Rosemood is here to simplify your lives when it comes to ticking your wedding stationery off your wedding checklist! 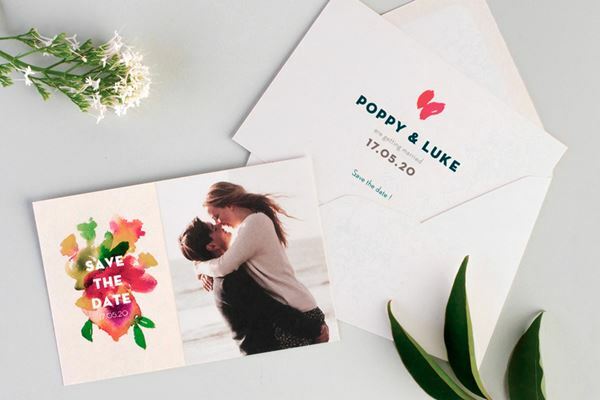 They are here to share their handy wedding stationery timeline that gives you a step-by-step guide on when to order and send your save the date cards, wedding invitations and wedding thank you cards. 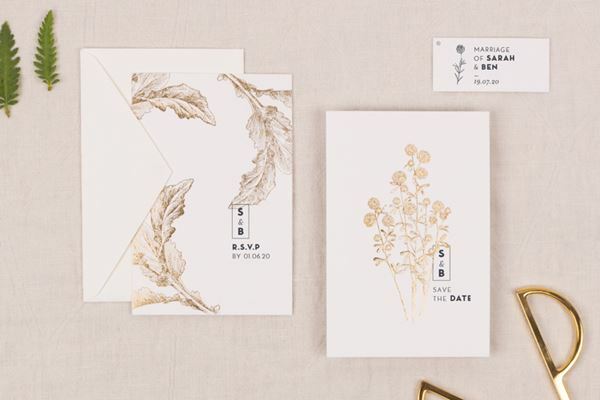 Create a Pinterest board for your wedding stationery inspiration. Start thinking about your wedding guest list. Set a budget for your wedding stationery, factoring in the cost of postage. Order free samples of wedding stationery from Atelier Rosemood to get a feel for the different formats and paper types available, as well as their beautiful designs. Whilst we are sure that you are still on cloud nine after the big proposal, it is good to start thinking about save the date cards early on! Giving your guests plenty of notice before your wedding will leave them with no excuse not to join you on the big day! Send out your save the date cards as soon as you have chosen your wedding date and booked your venue, or at least 6 months before the wedding! If you are getting married during a peak period or planning a French destination wedding then send your save the date cards out as soon as possible to make sure that your guests have enough time to book the time off work and to organise their flights and accommodation. Save the date cards are your wedding guests’ first glimpse of your wedding day so choose a design that fits with your wedding theme and colour scheme. 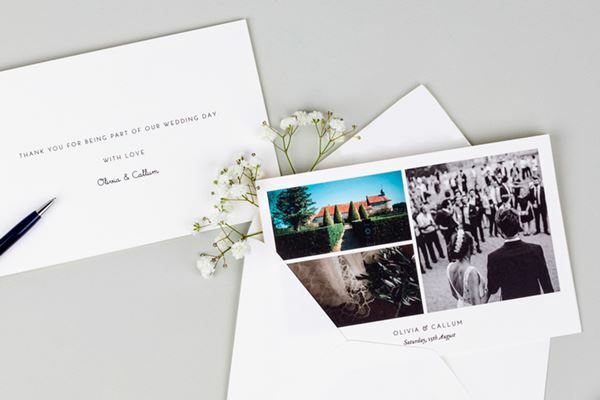 If you are yet to settle on one wedding style, then choose a neutral design or stick to photo save the date cards to share one of your favourite romantic snaps. The wedding is now approaching fast and it doesn’t get more real than putting your wedding invitations in the post box! 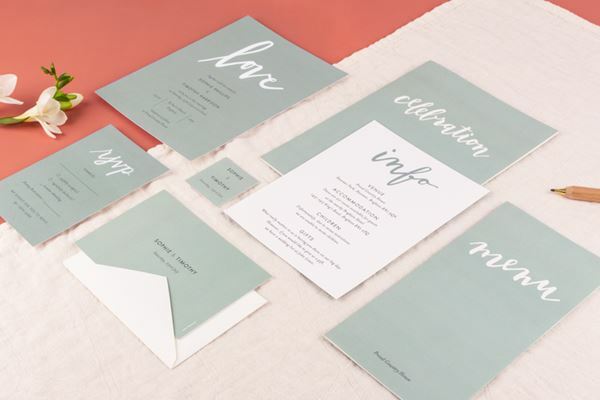 At this point, you probably have a wedding theme and colour scheme in mind so you can start looking for wedding stationery that will match your wedding vision. 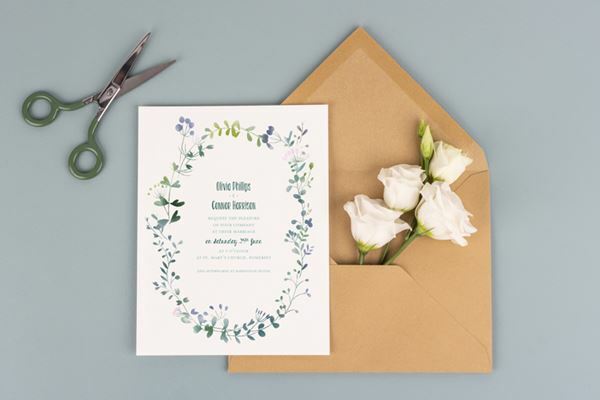 For some, it will be love at first sight when it comes to wedding invitations, whilst others may find it hard to narrow down their shortlist. 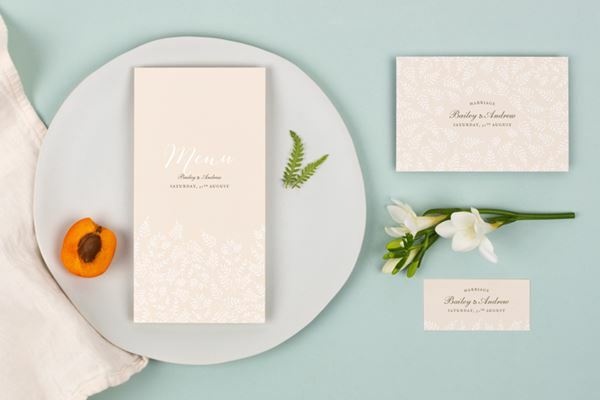 That is why Atelier Rosemood offers personalised samples of their wedding invitations, allowing you to see your favourite wedding invitations in print before committing to one design! We would recommend sending your wedding invitations four months before your big day to make sure that your guests have all the information that they need well in advance. Use our wedding invitation inserts to share the finer details; including flight and accommodation options to make getting to your French wedding as easy as possible! You can also include handy RSVP cards to make it easy for your guests to let you know whether or not they are able to join you for your big day. Set your RSVP deadline for around 2 weeks before your wedding suppliers will need your final headcount. This will leave you with a couple of weeks to chase anyone who is yet to respond. With only a couple of months to go until your big day, the excitement, (and perhaps the stress), is sure to be building. 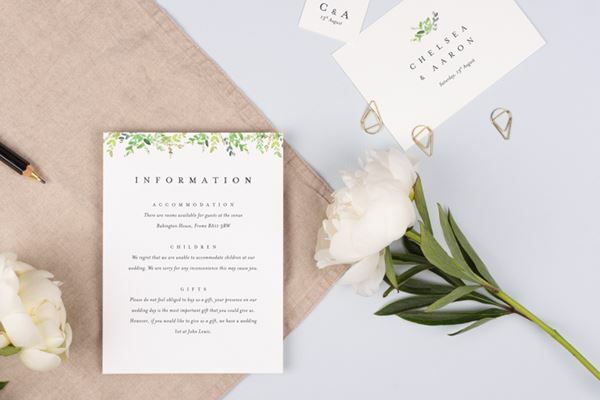 The wedding stationery journey doesn’t stop once you have sent out your wedding invitations, as you still need to find the perfect order of service booklets, table numbers, place cards and wedding menu cards to finish off your French wedding. 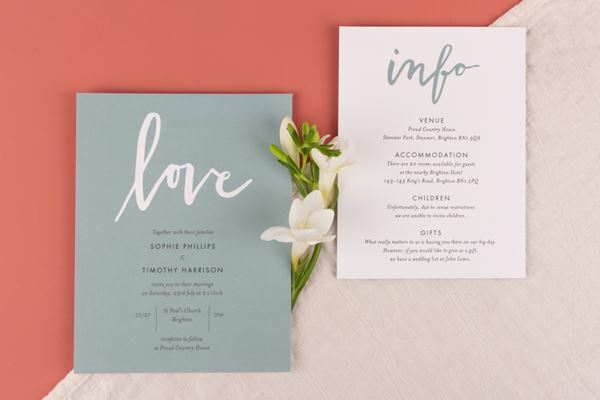 These practical pieces of wedding stationery will ensure that your guests can follow along with your wedding ceremony and that they stick to your carefully crafted seating plan. 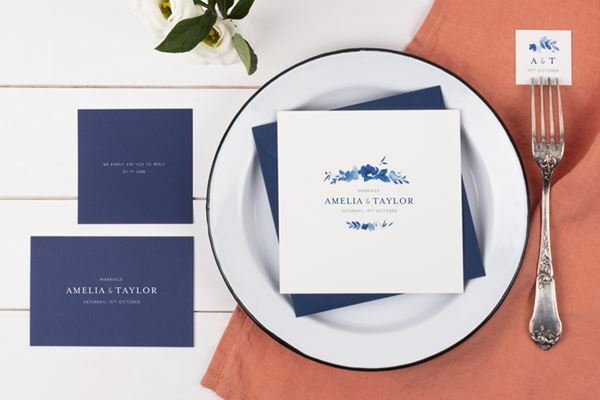 Coordinated wedding stationery creates a true wow factor, so you may wish to keep the same design for your on-the-day stationery as your wedding invitations. Don’t forget that you will be able to create matching wedding stationery in both French and English if required, with both being checked by our talented proofreaders. Order your on-the-day stationery once you have decided on your wedding menu and have your final headcount, (preferably a couple of months before the wedding). Make sure that you give yourself plenty of time to write out your wedding place cards and the table numbers to avoid any last minute stress! Congratulations on tying the knot! If your wedding went better than you could have ever imagined, you probably have your friends and family to thank for that! After the high of your wedding day and the bliss of your exotic honeymoon, it is easy to forget the final element of your wedding stationery – wedding thank you cards. Don’t let your wedding thank you cards bring you down to earth with a bump, and instead start looking for the perfect romantic wedding photo to share with your loved ones. 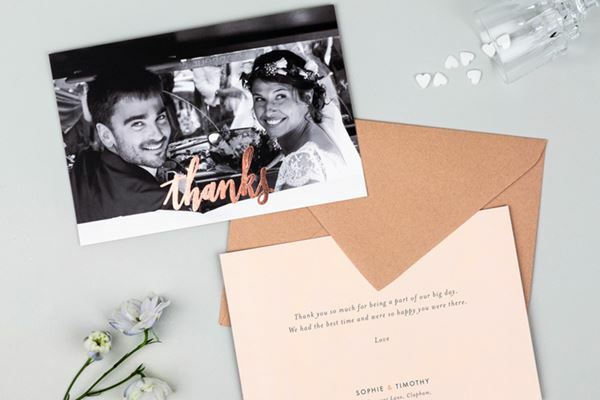 Sending wedding thank you cards is an important step in making your friends and family realise how much you have appreciated their help with planning your wedding, their presence on the day and their kind gifts. Send your wedding thank you cards within three months of your wedding. Sending them out as soon as possible will mean that the kind gifts and gestures of your wedding guests will still be fresh in your mind, making it easier to write sincere wedding thank you notes! Order your wedding thank you cards as soon as you have your professional wedding photos unless a budding photographer in your family managed to capture the magic of your French wedding perfectly! Once all of your wedding thank you cards are safely on their way, you can relive your special day by creating your own wedding photo books! We are sure that you don’t need an excuse to flick back through your wedding photos, so get them off your electronic device and onto high-quality paper with wedding photo books from Atelier Rosemood. With a wide range of elegant designs, you are sure to find a wedding photo book to suit your style. Wedding photo books also make great gifts for parents and for members of the bridal party, so create personalised wedding photo books for everyone that played a big part in your wedding day! As with all of their personalised wedding stationery, Atelier Rosemood offers a complimentary photo retouching service to make sure that your wedding photo books are absolutely perfect and that they will do justice to your big day! No matter which stage of this wedding stationery timeline you are up to, Atelier Rosemood’s friendly customer service team is on hand to help you with you choose and personalise your wedding stationery. They also have plenty of wedding stationery advice on their website, so head over to www.rosemood.co.uk for more hints and tips and to check out their collections of personalised wedding stationery. VIEW MORE ABOUT ATELIER ROSEMOOD AND EMAIL THEM TO FIND OUT ABOUT AVAILABILITY AND PRICES FOR YOUR BIG DAY.